(Seychelles News Agency) - The combined economic transformation successes of Seychelles, Mauritius and Cape Verde offer solid lessons for mainland Africa. The United Nations Development Programme (UNDP) Chief Economist for Africa, Dr Ayodele Odusola said this at the sidelines of the ninth African Economic Conference in Addis Ababa, Ethiopia. “There are solid lessons on governance, social protection and structural transformation that the mainland Africa can borrow from the island nations of Cape Verde, Seychelles and Mauritius,” Odusola told journalists at an international press conference. “We need to be honest and acknowledge that the structural transformation that has been experienced in these small island developing states in the Atlantic and Indian Oceans is not by default,” said Odusola. In the recent past UNECA which is positioning itself to become Africa’s premier think tank has made deliberate efforts to study the various economic and governance models that have defined the successes of the continent’s small island states. Mercy Wambui, UNECA’s communications official agrees that there are many lessons that mainland Africa can pick from its oceanic neighbours. “It is not just aquaculture, maritime trade and governance but you will be surprised to note that Cape Verde leads all of Africa in harnessing the benefits of the creative economy,” she said. According to Wambui, the three African small island states have been able to look beyond their vulnerabilities and sizes to leverage on their creative assets and natural environment. 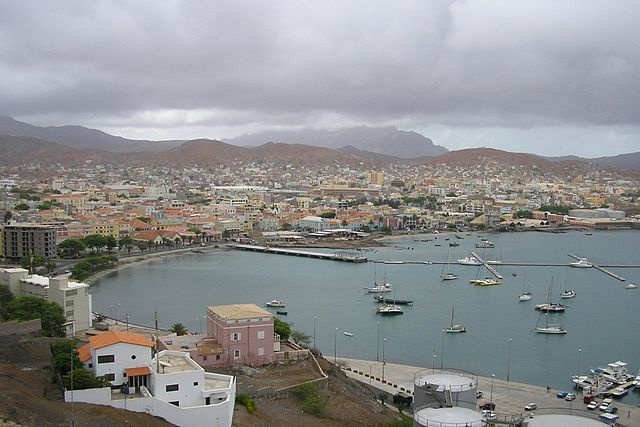 According to the World Intellectual Property Organisation (WIPO) Cape Verde which lies 350km off the west coast of Africa in the Atlantic Ocean has been able to diversify its economy by tapping on its rich cultural heritage to boost its creative economy. In September this year UNECA released a special report “Unlocking the full potential of the blue economy,” with a bias on Africa’s six small island states of Guinea-Bissau, Cape Verde, Sao Tome and Principe, Mauritius, Comoros and Seychelles. This report which is being distributed at the AEC summit discusses the blue economy ideals of fisheries, maritime trade, tourism, genetic resources, marine energy and carbon market and the challenges of climate change to small island states. The three island nations’ economic restructuring and social renewal has seen them diversifying their economies by boosting their services sector such as ICTs, tourism and renewable energies sectors. On top of these, the scaling up of fisheries infrastructure and subsidies has helped prop up these countries standing in the continent and across the globe. Blue economy, climate change top the agenda between Seychelles, New Zealand.